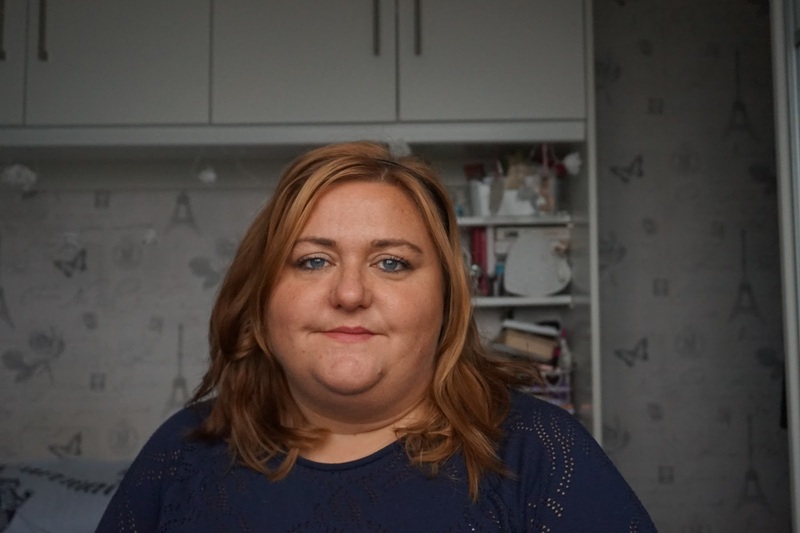 When I popped into Superdrug in Ashton last weekend I was feeling a little sad and I didn't feel like buying anything. I was killing time before meeting my mum when I spotted the My Lottie London range. I saw a lot of instagram pictures from their launch night a few month ago and then I hadn't really thought about them since. Out of sight out of mind I guess. They had a few cute nail polishes but I really can't justify any more but I'm a bit obsessed with make up brushes at the moment and the colours of these brushes really appealed to me. 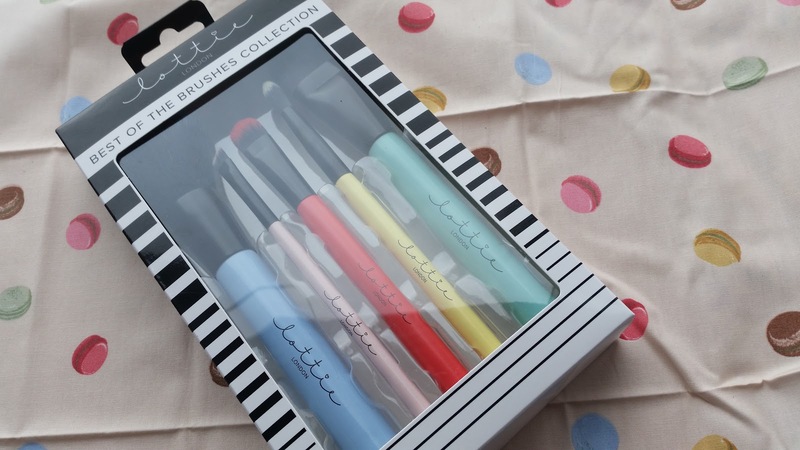 They sold them separately for £4.99 - 7.99 and I was going to get 2 single brushes which would have cost me around £13 but then this set caught my eye and it was £19.99. The brushes are made from synthetic fibres and they feel really soft. I think this set provides a nice mix of brushes and would make a really nice gift for someone. The one thing I wish it had was the brush names printed on the handles but it's not a massive issue. Powder Brush - I really like the size of this brush as it's quite compact but still fluffy. I know I will be able to use this for setting powder and blusher. 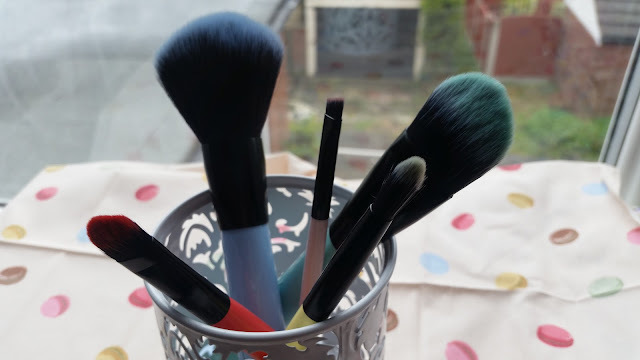 Angled Brush - I really enjoy using angled brushes when I wear eyebrow powder and I can't find my current favourite brush so I'm hoping this is going to be a good replacement. Eye Shadow Brush - I'm not sure about this brush, I've only used it a couple of times up to now but i feel like it might be a bit too dense and wide for my liking. Which is a real shame as this is one of the brushes I was going to buy individually. I want to try it with some other eyeshadows before I make my mind up about it. Blending Brush - I was really impressed with this brush. I rarely use blending brushes but I do always like them when I used them. This seemed to easily blend my eyeshadow and I'm glad I tried it. Foundation Brush - I haven't tried this and I'm not sure I will as I really don't understand how to apply foundation with a brush? This is my favourite colour wise. Maybe I can use it for other things? What brushes do you use the most?